I used to be into scale R/C cars and at one point had a 1/8 scale nitro buggy. The fuel used was a nitro-meth-oil mix (~30% ~50% ~20% respectively) and the specific output was much, much higher than gasoline and diesel engines of roughly the same size. As the fuel was pre-mix, it also eliminated the need for separate oil. Both of these things seem very indicative of being useful on a rotary engine. I know the cost is stratospheric, but has anyone tried something like this? Also, I remember that it seemed less inclined to burn (as an uncompressed liquid) than gasoline, so it would seem safer as well. I'm no chemist, but the thought occurred to me. I think one of the main reasons it is used in RC cars is because stoich AFR is something godaweful like 2:1, which is usefull because the carbs used in those cars don't have the ability to inject the fuel in a manner that would vaporize it for an AFR that would be too much leaner than that. It does contain much more oxygen than gasoline, hence the insanely rich stoich AFR, and thus produces more power, but the amount of fuel you would need would be absurd. Absurd amounts of fuel sounds kind of cool. I think you are pretty close there. It's been a long time for me as well. I've thought about this as well, but since my rotary is my daily... I don't wanna experiment, least not till I have a built- drop in replacement... Also, the out-*******-ragious price of that stuff is another bit of a prob. i'm sure it's been done but not really discussed on an open forum. nitromethane does provide about 2.1 times the energy content of traditional gasoline from the same amount of oxygen forced into an engine. in theory you could push a rotary engine over 2000 crank horsepower on nitromethane. question is does it have the necessary anti detonation suppression capability the engine needs.. you are also talking about $50 quarter mile passes even with sub 1k horsepower engines, we're talking $300 in fuel alone just to tune the engine running on nitromethane. i think it would be cool to experiment with, too bad i'm not that baller. downside is it creates tons of heat very quickly so it would only be useful for quarter or 1/8 mile use or alternately as an AI addition which is where it could be more beneficial without building the car and fuel system around the fuel, but in that case there is nitrous oxide which to me sounds like a better choice. Last edited by RotaryEvolution; 05-01-12 at 03:11 PM. i know that the funny cars run up to about 3000 rpm using spark ingnition and after that the nitro runs on self compression ignition and the igniton system doesnt even matter anymore. With the proper compression ratio, I imagine you could get a fuel mixture to auto-ignite in a predictable chamber pressure range during the compression stroke... that is, if you could control ambient engine temps. I know this is an older thread but I feel I have information that is relevent and contributes to the thread positively. So please, don't flame me bro. Nitro burns really slow, that's why top fuel drag cars have huge flames out of the headers. In arotary you probably wouldn't see that much hp gain, most of the excess energy would go right out the exhaust. Nitro powered piston engines generally run a long stroke small bore to utilize the as much of the energy produced as possible, they still lose alot out the exhaust. A rotary with it's large surface area and small relatve movement behaves the opposite more like a large bore short stroke piston engine (think f1 car). Compared to the amount of fuel ($$$$) you would have to pump into the engine any gains would be pointless. My brother runs a nostalgia topfuel front engine dragster, and I'm pretty sure a 55gal drum of nitro was almost $1000. Nitro is really thin too, in a piston engine it blows by the piston rings and ends up in the oil. In my brothers car we change the oil after every start up, even pre-race warm ups that only last about 2-3minutes. Nitro doesn't like to burn, it won't ignite at 100%, gotta have a little methanol to get it started. Percentage matters a lot, too high and it won't light, too low and you're breaking parts and not seeing any noticeable hp gains. I say breaking parts because invariably you are. There's a reason pro top fuel teams do full tear downs between runs, if they ran hard enough to make the next Iround, something broke. Running less than 85% you might as well run straight methanol/ethanol as lopsided as your hp gain:fuel cost ratio would be. I'm not sure a rotary would hold up to the intense pressures generated by nitromethane, top fuel piston engines have no water jackets in the block(solid cast aluminum) or they are concrete filled (oem cast iron blocks). With the iron plates and aluminum housings I'm sure differing expansion rates would cause problems with sealing. Controlling when it ignites is pretty tricky, most is done by changing the fuel percentages according to atmospheric conditions, and fuel metering. Top fuelers run mechanical fuel injection, everything is controlled mechanically, the injectors are just nozzles with fuel lines running to them. The fuel pump is cam driven so the higher the rpm the higher your fuel volume/pressure is. Then there are many tricks to leaning out the fuel at higher rpms, too many to get into here. The most important method of preventing pre-ignition (in a piston engine) is keep the top of the piston wet(with liquid fuel) so that as compression reaches maximum a critical mass combo of heat and pressure vaporize the fuel in to a combustible at the last possible instant. There is a fine line though between maximum output and catastrophic failure. If you take out too much fuel at the top end it'll burn a hole through the top of a piston. Ask anyone who ever grenaded a nitro engine and they always say "it never sounded so good as right before it let loose." Nitro really is hard to light, in fact it was thought to be stable and not explosive until a rail tanker exploded due to a combo of high temperature, malfunctioning pressure relief valve, and impact compression. The resulting crater was 800ft wide and 300ft deep. There is however an alledged nitro rotary dragster on youtube, not alot of details and just a warm up video so far. I believe the youtube userame of the poster was nitrorotary. if it is for real I would live to see more details. As a disclaimer I'm not saying it won't work I'm just saying there are other ways that are easier, less expensive, and lower maintainance to make a rotary go fast. If you still want to try it, be sure to get video and pictures. I wanna see it. I had a friend that did that in his Evo & caught his intake manifold on fire after a run. He found out that with just enough heat it will self-ignite so he scrapped the idea altogether. Yeah I forgot to mention with my brother's nostalgia dragster at the end of every 1/4 mile pass we have to immediately pull the spark plugs we do this in the shutdown area while rolling up the parachutes. That way it won't detonate if the clutch grabs for a second and turns the engine over while towing the car back to the pits. during the warmup first we crank it over with ignition and fuel off to build oil pressure we start up on straight methanol, run that until the engine builds enough heat in the block to light the nitro then switch over to nitro, check timing, set the clutch, check boost, then shutoff the nitro, and spray gasoline into the injector hat with a squirtbottle to make sure all the nitro gets evacuated from the fuel system before shutting it down. Then we pull the plugs and purge the cylinders(crank it over with fuel off) and change the oil. A 2-3 minute warmup costs (including fuel, oil, and sparkplugs) about $100-$200 minimum depending on how long it runs and whether or not the plugs need changed at the end. NHRA Top Fuel teams will actually change headgasket thickness to increase or decrease compression ratio. They also do complete teardowns between rounds, and somtimes build and install completely different engines. a complete engine build and swap followed up by a 4sec pass in less than 3 hrs, I can't even imagine doing that. Like I said before I'm not telling anybody this can't be done but I am saying it's not easy or very safe to be perfectly honest. It's definitely not cheap either, but if anyone does try it out make sure you post a vid. The RC company OS makes a Wankel engine that runs on nitro fuel. So to say that a rotary cant run on nitro is false. Getting the Mazda 13b to run on it, thats a different story. Like many other things, how deep your wallet is probably determines if it is possible for you to do it or not. I went to the races in Orlando a few weekends ago and lots of 13b's were running nitro. I didn't know they ran it but they were. Citing an aircooled single rotor rc plane engine as proof a wankel rotary can run nitro is hardly evidence you could get a 13b to make ungodly hp. I never said a 13b couldn't run on nitro, I said you would pay out the @$$ for fuel, break parts, and see the majority of that extra energy released when burning nitro go out the exhaust thereby wasting it. What percent? Was it used as an AI? Are you sure it wasn't nitrous oxide? The reason you can run such high afr numbers is in the chemistry of the fuel. Nitromethane CH³NO² brings it's own oxygen to the party. Another interesting thing. The more load you apply to the an engine running nitromethane the more power it produces. An old racer told my brother after his first qualifying pass to try grabbing the brake after the clutch fully locked. He figured sure why not already qualified I'll give it a shot. Took 3/10ths off his time. You could see in the video where he grabbed the brake cause the engine pulled down a bit and the header flames got a lot bigger. Applying the brake adds more resistance slowing the engine giving the fuel more time to expand increasing the pressure and producing more power. 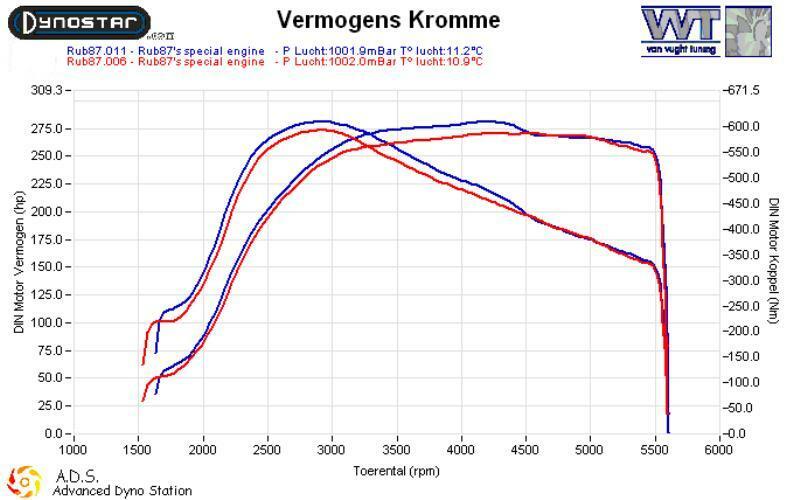 I wish I had unfettered access to a dyno and lot's of money to do more refined testing figure out the optimum load on the engine for the greatest hp/torque output. in all honesty Nitro-methane is a total waste of money time and effort, the overall effects that is has is purely detrimental to your wallet and has virtually no benefit for the average person. The fuel is too expensive flat out, you would get more off of Red-dot or Cam2 and still be able to afford a taxi home if you break it! Last edited by Lucius_Nightbringer; 05-20-13 at 01:19 PM. Reason: accidentally "backspaced"
Idea!?! No more turbo lag...would it work? ?